The mid-face is the region of the face covering the area under the eyes, the cheeks and the top of the mouth. Signs of ageing occur in this area due to the loss of facial fat. We have pockets of fat that run horizontally across our face, but as we age, the fat deflates and we start to see vertical folds occurring in our face. A characteristic of youth is high mid facial curves together with a short lower eyelid vertical height. Mid-face surgery is designed to improve sagging cheeks as well as the lines running from the nose to the mouth to return a youthful appearance. Mid-face lift surgery is a relatively new treatment. Incisions are made on the side of the eyes allowing Dr. Verma to gain access and reposition the muscles and natural fatty areas of the cheeks by pulling them up. These repositioned tissues are then stitched to the structures on the sides of the eye sockets. Unlike a facelift, a mid-face lift addresses the middle of the face and concentrates on the areas around the eyes to correct under eye bags, for the correction of hollowness in the upper cheeks, to correct prominent nasolabial folds and lines forming a downturned mouth. Dr. Verma performs mid-face lift surgery in Honeysuckle Day Hospital, a new purpose-built cosmetic surgery facility located in Newcastle. Typically mid-face lift surgery will take between 60-90 minutes, however, it may be longer if it is combined with another procedure. Costs will vary for each individual’s requirements. 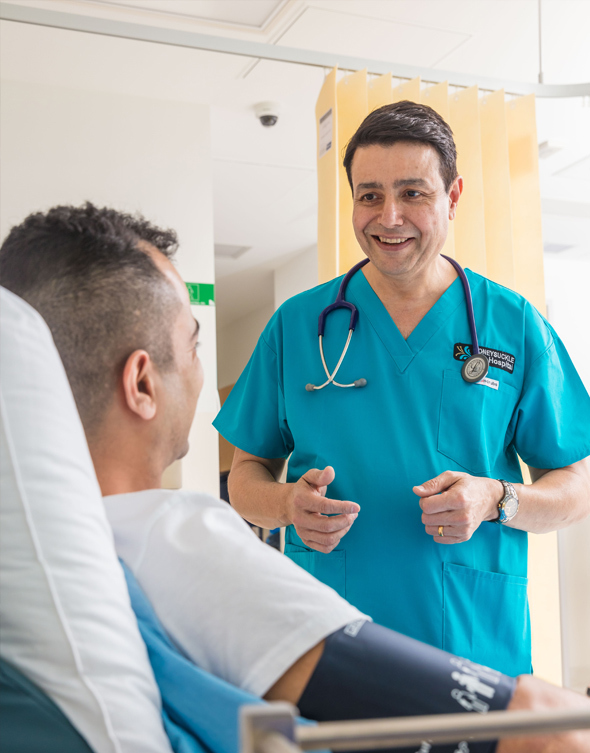 When you have your consultation with Dr. Verma, he will discuss all aspects of the procedure and will arrange for you to receive a detailed treatment plan that includes a quote outlining all details of costs excluding anesthetist fees and hospital costs which are provided as a separate item. Not sure if mid-face lift surgery is right for you? If you’re not sure about mid-face lift surgery, please arrange for a consultation with Dr. Verma. During your visit, he will be able to discuss whether this is a suitable procedure to give you the best results based on your individual face as well as what you hope to achieve, your needs and your lifestyle by customizing a unique personalized treatment plan. Call (02) 4001 0511 to talk to our friendly staff and book a consultation with Dr. Verma. Do I qualify for mid-face lift surgery? Mid-face lifts are most commonly performed on people aged in their 40s to 50s to address specific concerns due to aging. As with any surgery, it is best if you are in good general physical and mental health and ideally be a non-smoker or agreeable to quitting smoking prior to your surgery. Who is a good candidate for mid-face lift surgery? As with all cosmetic procedures, mid-face lift surgery is determined by yourself and any concerns you have with your appearance. If you want to address sagging cheeks and vertical folds that have occurred as a result of a fat loss, sagging, lines, and wrinkles around the cheeks, eyes, and drooping lines around the mouth and appear younger, refreshed and rejuvenated; mid-face lift surgery is one of the best surgical treatment options available. Each face is unique. During your consultation, Dr. Verma will take a general medical history and then examine and analyze your face and ask you what areas you are concerned about and to raise any questions or concerns you have regarding mid-face lift surgery. From these discussions, he will be able to recommend which procedure or group of procedures (surgical and non-surgical) will address your needs and achieve a balanced and natural result. To allow Dr. Verma to properly assess your skin and face it’s best not to apply makeup or sunscreen before coming to your consultation. It’s also helpful for you to bring close-up clear photographs from when you are younger to allow Dr. Verma to gain an understanding of your face’s natural youthful contours. How is mid-face lift surgery performed? Are there different techniques? There are two different techniques that can be used to perform mid-face lift surgery. The first is the same as used for a traditional face lift. In this instance, a hidden incision is made in the lower lashline. This allows access to the cheeks and lower eyelids. This technique is more suitable for patients who mainly need their drooped facial tissues to be lifted upward. In the second technique uses an endoscopic model. Two endoscopic incisions are placed in the in the temples and hidden behind the hairline. Through this access point, facial muscles and skin can be lifted both vertically and horizontally. The scar areas will be dependent upon the technique used. In your consultation, Dr. Verma will explain about the different techniques, where the incisions are made and how he allows for the scars to be hidden. What are side effects of mid-face lift surgery? As with a facelift, the side effects of mid-face lift surgery include temporary bruising and swelling, numbness in areas of the face as well as a tight feeling in the face and dry skin. These are normal side effects after a mid-face lift procedure. The majority of such symptoms resolve within 6-12 weeks after the operation. Numbness due to irritation of nerves take longer to recover and therefore the feeling of numbness can last for up to 3 months or longer. 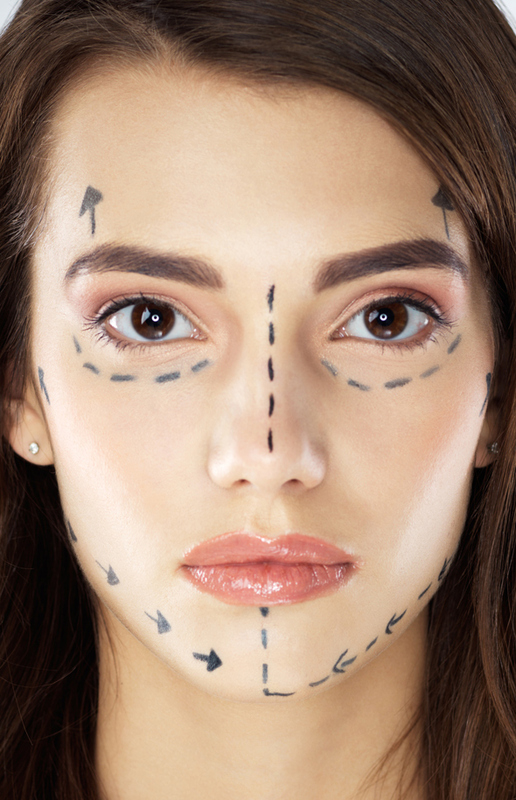 What are the risks and complications of mid-face lift surgery? As with all surgery, there is a risk of complications from a mid-face lift procedure. Most complications prove to be temporary and can include blood or fluid retention under the skin and numbness. In rare cases, numbness can be permanent. There can also be problems with healing of the skin but this is more common for patients who are smokers and suffer from other health conditions. You will be provided with detailed instructions by Finesse Cosmetic Surgery with regards to care of your sutures, wounds etc. Any sutures are usually removed in 7-10 days. 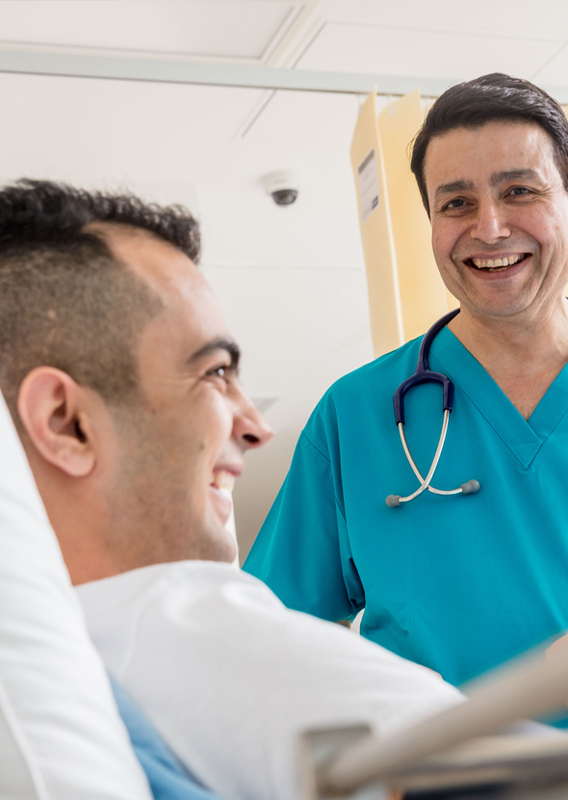 We recommend that you don’t plan on returning to work for 14 days after your procedure in most instances. However, if you work involves more strenuous activity (such as lifting, straining, pushing) you may need a longer recovery period. Dr. Verma will discuss this with you at your consultation. Returning to exercise should be kept to a light walk for 4-6 weeks. The majority of the swelling can take up to 6 weeks to resolve. Feelings of tightness and numbness in the face are normal after mid-face lift surgery and may last for several weeks. Results will be visible after your tissues heal, when the majority of swelling and bruising subside, which may take up to 3 weeks or more. Dr. Verma will see you one week post the operation and then organize subsequent follow-ups according to your individual recovery. Your follow-up visit costs for up to three months after the surgical procedure are included in the cost of the surgery. If revision surgery is required for any complications, extra charges apply. As with your consultation visit, Dr. Verma will be taking photographs of your face and neck in order to document healing during follow up visits. How long do the effects of a mid-face lift last for? The mid-face lift turns the clock back by 5 to 10 years. This effect fades with time and advancing age and a revision are usually required 10 years later. Changes due to aging are faster in smokers and those who are outdoor workers.